After the surge of support for the far right in last September’s general election in Sweden, it took an unprecedented four months of wrangling to establish a minority government of the Social Democrats and the Green Party. But the upheaval in Swedish politics could become yet more pronounced in May, with the far-right Sweden Democrats predicted in some quarters to become the country’s second largest party in Europe. As in Sweden, voters in Romania remain broadly pro-European, despite domestic political turbulence. Yet anti-Brussels feeling remains conspicuous, even if it is outstripped by sustained anger at efforts to cover up corruption, including the government’s use and abuse of European funds. The erosion of trust in political elites has led to a confused political outlook for the country, as its relatively young democracy continues to seek direction. Membership of the European club of democracies has traditionally been perceived in Spain as an opportunity to correct the historical delay caused by Franco’s dictatorship. Yet the bi-party hegemony that subsequently emerged has also been overhauled in recent years, even as rhetorical warfare between the two national centrist parties continues. This scenario may be a microcosm of the forces at work in Europe as a whole: with far-right candidates expected to enter politics at every level after local, national and European elections, Spain has truly become a member of the European club. Sweden: Keeping the far right at arm’s length? Last year’s general election returned the third successive surge of support for the country’s far right and a hung parliament, leading to the most problematic and protracted government-forming process that Sweden had ever experienced. This has inevitably shaped the political climate in which Swedish political parties are now mobilising for the EP elections. Instead of the traditional, binary left-right scenario, there are essentially three core blocks: left/green, centre/liberal and conservative/nationalist. Between them, they cover the entire Left–Right spectrum. 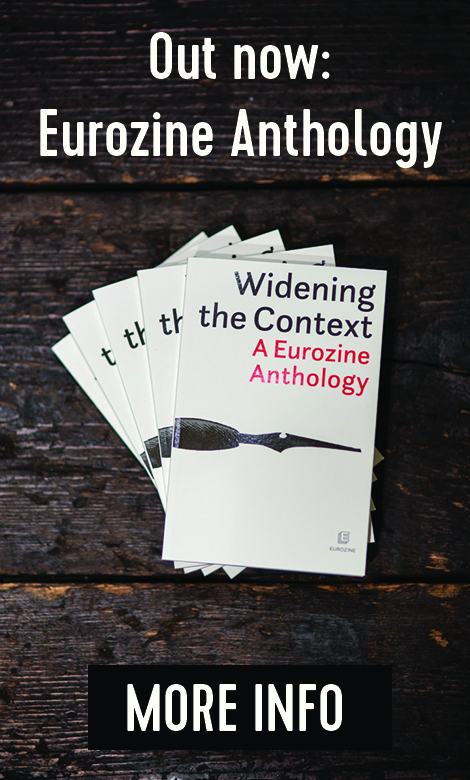 The implications of recent developments for attitudes towards the European Union are various. 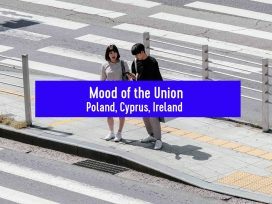 Since the previous European elections in 2014, the two parties that had initially campaigned for ‘Swexit’ have both more or less tacitly dropped their demands for leaving the Union. The far-right nationalist party Sverigedemokraterna (Sweden Democrats) and the socialist party Vänsterpartiet (Left Party) both now favour alliances within the European Parliament and with existing movements in Europe. 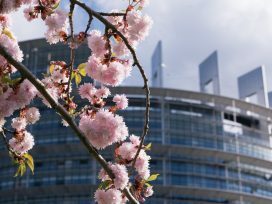 Meanwhile, the latest polls show that if the EP election were to take place today, the far-right nationalists in the Sweden Democrats would win around 18 per cent of the vote – almost exactly the same percentage as in the 2018 general election. Despite deepening domestic fissures, there continues to be overwhelming support among Swedes for permanent membership of the EU. According to Eurobarometer data, over 80 per cent would vote to remain in the EU if there was a referendum today. Even if European elections attract a lower turnout than national elections, over half of the voting population is expected to participate again in May, which is above the EU average. However, since the financial crisis of 2008, both the Swedish electorate and the country’s politicians are firmly against joining the eurozone. 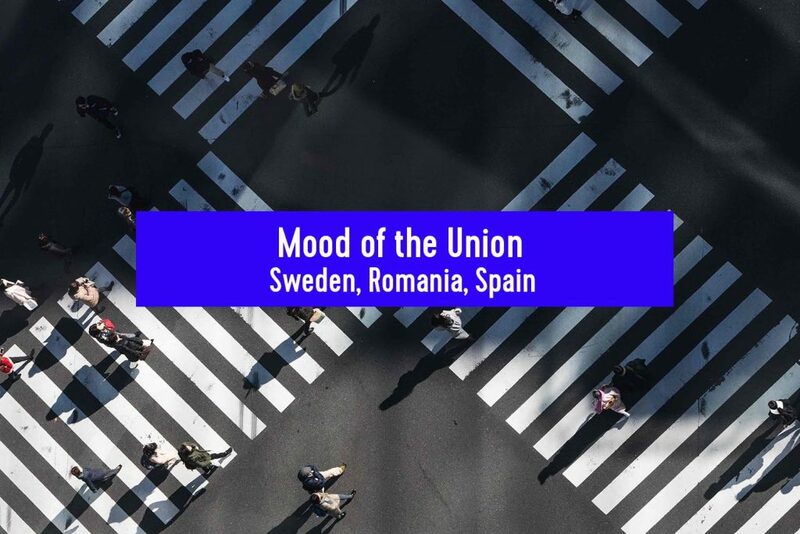 Meanwhile, there has been heavy media coverage of Brexit, as Sweden has strong trade relations with Britain and many Swedish citizens live there; and the UK is seen as an important non-eurozone ally. Nonetheless, media interest in EP election issues is predictably low, even if recent discussion of Fidesz’s suspension from the EPP prompted a slight increase in attention. For the moment, the Social Democrats and the Green Party remain in office as a minority government that must continually compromise with centre-liberal parties to keep the country’s new far-right politicians at arm’s length. But with the Sweden Democrats threatening to improve on third place in national parliamentary elections and, according to one recent poll, to potentially become the country’s second largest party in the European Parliament (ahead of the Moderate Party), something of a sea change would not be out of the question in May. For the past two years in Romania, the main topic of public debate has been the criminal justice system and its capacity to fight corruption and serious crime. This follows criticism from the European Commission, the European Parliament and the Venice Commission (advisors to the Council of Europe) of the way in which the country’s ruling coalition has ‘reformed’ the judicial system. That coalition is formed by the Social Democratic Party (PSD), which is affiliated with the Party of European Socialists (PES) in the European Parliament, and the UDMR, the Democratic Alliance of Hungarians in Romania. Recent amendments to the judicial system were interpreted as being contrary to European regulations on the rule of law by opposition parties – the National Liberal Party (PNL), a member of the EPP, and a new political alliance, USR-PLUS, led by former European Commissioner for Agriculture Dacian Cioloș. Many political analysts and large sections of the public drew similar conclusions. Although it defines itself as a social democratic party affiliated with European socialist parties, the PSD makes use of an illiberal discourse very close to that of Viktor Orbán. In order to counteract criticism from the European institutions, the PSD (led by Liviu Dragnea, previously found guilty of corruption and still standing trial in a related case) have proposed a ‘national agenda’ for the European elections in May. PSD leaders, including the prime minister Viorica Dăncilă, talk of ‘the European Commission’s interference in domestic affairs’, assert that ‘European institutions regard Romania as a second-rate country’, and accuse the opposition of ‘being funded by George Soros’. The issue of justice will therefore remain a central one in the European election campaign. Depending on their position on this issue, parties and voters will effectively indicate whether they wish ‘to be or not to be in the EU’. In fact, voters’ attitudes are mixed, if not confused. Polls indicate that a turnout of between 36 and 40 per cent can be expected. Yet 23 per cent of voters say they still do not know which party to vote for. All told, citizens’ confidence in European institutions remains high, but anti-Brussels feeling is likely to continue growing. 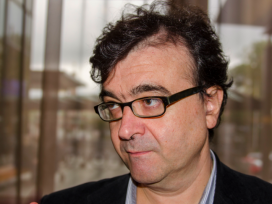 Spain: Seeking an end to centrist rhetorical warfare? Spain is about to engage in local, national and European elections, all within the space of just 31 days. First up are the general elections on 28 April. Just one month later, EP elections take place on the same day as local elections, including in many comunidades autónomas. 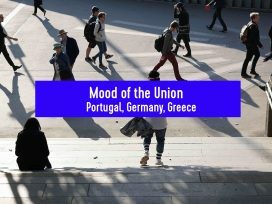 The negotiations, muscle-flexing and alliances that result from the general elections may well affect the outcome in May. European elections used to principally offer an opportunity for insurgent political parties. Broader constituencies benefited such operations, which were penalized by the constrictions of provincial constituencies. This helped Podemos to burst onto the scene in 2014. The Spanish party system has changed a lot since then – the tradition of two big national parties vying for an outright majority or to govern with the support of smaller parties has given way to a fragmented national parliament. After the coming elections, Spain will no longer be an exception – for the first time in the democratic era, there will be far-right politicians at all levels of politics. However, for the moment, Spanish society remains pro-European. There are many practical reasons for this, including the huge improvements seen in Spanish economic performance and infrastructure, stemming from the fact that Spain was a net receiver of European funds for a long time. 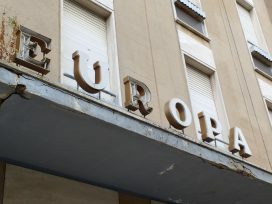 Further, membership of the European club of democracies provided the opportunity to correct the historical delay caused by Franco’s dictatorship. Podemos, a leftwing populist party in origin, ultimately proved to be more eurocritical than eurosceptic, probably for electoral reasons. Vox, on the other hand, is a nationalist reactionary platform that is against immigration and social progressivism. Its growth can be seen largely as a response to another national-populist phenomenon: the secessionist drive in Catalonia. Vox will probably become a eurosceptic party, having voiced its admiration for the tone set by the Visegrád group, though the EU does not seem to be among the party’s main concerns. As in other countries, the European elections in Spain seem to be all about an open-closed axis. Despite the emergence of at least two populist parties, the Left-Right divide is still very strong and continues to give rise to vetoes and polarization. Thus, Spain’s governing centre-right Partido Popular, Catalonia’s leading liberal party Ciudadanos, and the national social-democratic PSOE, which is currently in opposition, are entrenched in rhetorical warfare – even though they belong to the ideological families that created the European Union. Ciudadanos and PSOE are fielding two of their most brilliant minds as candidates – but, especially in the case of the PSOE’s Minister of Foreign Affairs Josep Borrell, and to some extent in that of ALDE lead candidate Luis Garicano, it is not clear if this is because they think this election is important, or because these politicians are in fact a bit of a nuisance to party leaders. 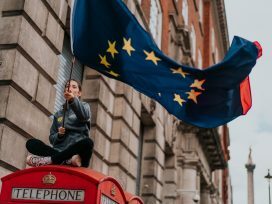 Let us hope that the undignified noise of local politics does not silence the debate about the real issues at stake in May’s European elections. Click here to read all other country reports published.